Повесть о взятии Царьграда ( the Tale of the fall of Constantinople ) is an original East Slavic work from the last quarter of the fifteenth century, written just a few decades after the capture of Constantinople by the Turks. 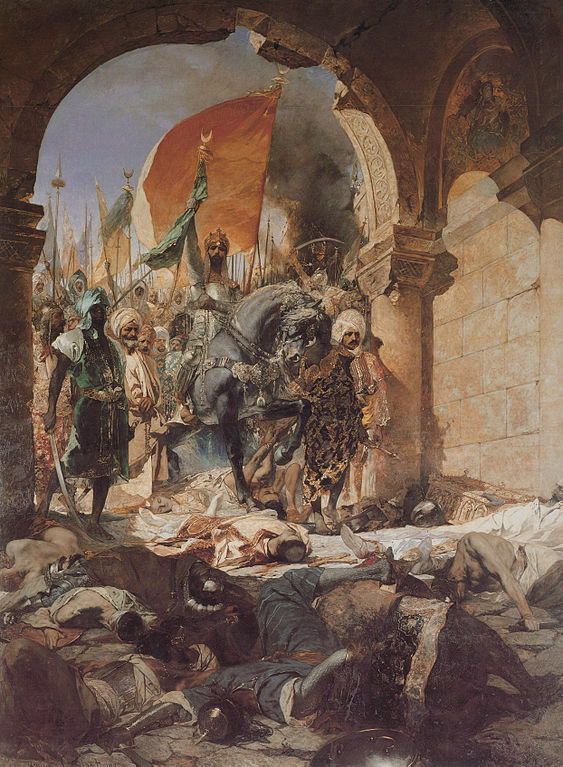 It includes the Legend of the foundation of Constantinople and the Tale of the capture of Constantinople by the Turks . The digital edition is based on Isabel Arranz del Riego’s Estudio y edición interlineal del relato sobre la toma de Constantinopla a partir de los manuscritos HM.281, HM.280 y HM.282 (doctoral dissertation, Universidad Complutense de Madrid, 2013).